An Illinois native, Devon returned to the Chicago area after 10 years in Southern California where she completed her undergradute degree and purused a master's degree at the University of Southern California. Her training in counseling psychology makes her a caring, thoughtful listener. She is, thus, uniquely positioned to work strategically with her clients to maximize their buying, selling, or leasing experience. Because of her very positive and easy-going personality, Devon appreciates the stress often associated with relocation and is able to guide her clients through the process and with professional ease. When choosing an agent, one should consider the amount of time that will be spent in the various stages of the process and try to determine if their specific needs will be met. 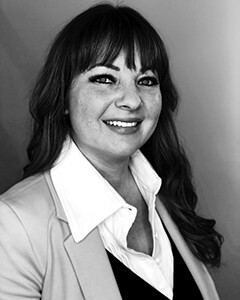 Devon has a proven track recordof valuing her clients' time and effectively providing guidance and expertise while demonstrating her postive and responsive nature. Her sunny disposition makes working with her a true pleasure! Over the past decade, Devon has worked in many facets of the real estate industry--from property mangement to leasing, buying and selling homes, condos, and apartments. She focuses on the River North, Lincoln Park, and Lakeview neighborhoods where she currently resides. Devon has traveled extensively throughout the world. These experiences have broadened her understanding and respect for many diverse cultures. She supports human rights organizations in Africa and Southeast Asia. A lifelong dog lover, Devon has volunteered at animal shelters for many years. Devon is an avid rock-climber and enjoys attending art, music, and food festivals throughout the Chicago area.